PARTIT KOMUNISTA MALTI: Venezuela’s Left victory. The Communist Party of Malta described the Presidential election results in Venezuela as a victory for all the working people in Latin America and the further strengthening of Socialism and Democracy. “The reaffirmation of Hugo Chavez as President of Venezuela distances the country from the re-emergence of its right wing dictatorial past”. “The continued popularity of the government has been attributed in part to the implementation of social reforms which provides free health, education and subsidised food to the population, as well initiatives aimed at deepening citizens’ political participation”. “The opposition candidate, Henriques Capriles comes from a party which had a history of paramilitary fascist squads, where countless of left wing activists, indigenous people and trade unionist were assassinated. 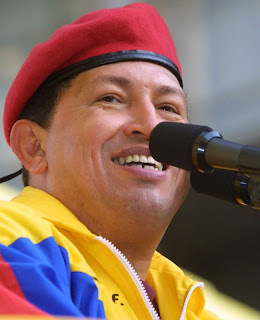 Henriques Capriles also supported the 2002 military coup against the democratically elected Hugo Chavez”. “Venezuela has the largest oil reserves in the world and is a prize that the multinationals and their puppet governments would like to get their hands on. Capriles was their tool, dedicated to the restoration of neo-liberal economic policies, privitisations and the return to elitist rule by the minority Venezuelans of European origin”, concluded the Communist Party of Malta.